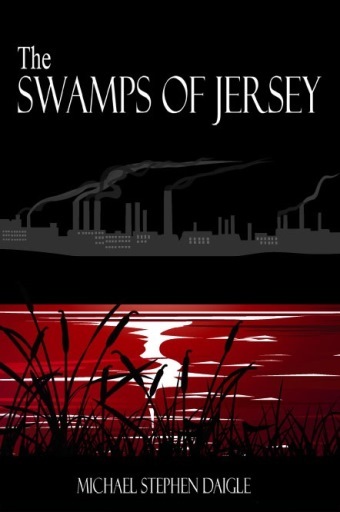 “A Game Called Dead” continues the story of Ironton, N.J., Detective Frank Nagler, who was introduced in “The Swamps of Jersey,” published in 2014 by Imzadi Publishing. Release of “A Game Called Dead” is pending. 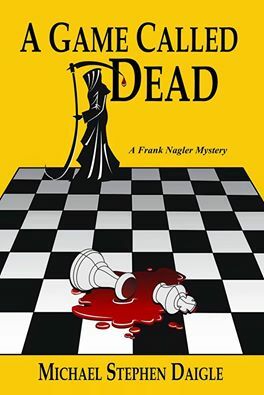 In “A Game Called Dead,” Nagler has another handful of troubling cases, including murders, to solve. Two events open the story. The first is an attack at the local state college during which two young women are badly beaten. The second is the destruction of the interior of a book store operated by Leonard, a blind friend of Nagler’s. Nagler and a new rookie partner, Tom Miller, are assigned to the cases. The City of Ironton is still in an economic doldrums. The promised recovery from the hurricane two years before faltered in a wave of incompetence and waste, forcing the state of New Jersey to take over the city’s finances. In the background is the story of efforts by citizens to change their economic fate, led by an activist Rashad Jackson. Then one of the young college women dies, and a creepy Internet texter, who takes on the handle, “HASHTAG ARMAGEDDON,” begins to taunt police. The two college victims, and a third woman, who had called the campus police to report the beatings, all played the game. After speaking with police, the third woman is found dead. Events begin to pile up: A brick is thrown through the front window of the bookstore; during a memorial walk to honor the college women who were attacked, one of the original victims, who had recovered from her injuries, is kidnapped and left to die tied to a tree with the words “you talked” carved into her stomach; at the same time the memorial walk is taking place, the Ironton community center, whose youthful members helped rebuild Leonard’s store, is damaged in an arson. HASHTAG ARMAGEDDON raises the level of his taunting. While all that is going on, Nagler’s past surfaces in the form of the Charlie Adams serial killer case. First is a scheduled court hearing to review the charges against Adams. Similar hearings have been taking place for more than a decade as a local lawyer has petitioned the court for a review with what Nagler feels are more and more outlandish readings of the case record. Then an Ironton College dean, Harriet Waddley-Jones, contacts Nagler for his help with a book she is planning on Charlie Adams. The action in the story follows the rules of “A Game Called Dead” which say that the object is to kill The Hunter’s allies, and then The Hunter. For Nagler, the story is a dark emotional trip. His past – Charlie Adams, the death of his young wife, his relationship with Lauren Fox — and the safety of his friends are thrown back at him again and again. The stakes for him are deeply personal as well as physical. The fast-paced story is about confronting the secrets of the past, dredging into emotional hollows of the soul and trying to move forward.